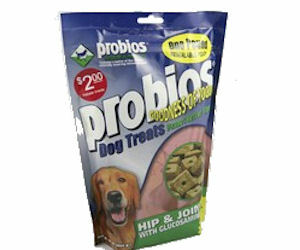 Go here to get your free sample of Probios Dog Treats. These are probiotic treats for your dog! If you are a regular reader, then you know how much I love probiotics. Plus, my dog loves treats (I hope they aren't too healthy though...he can smell healthy and won't touch it). For some reason there's an error with the link. Just thought you should know. Love your blog though!